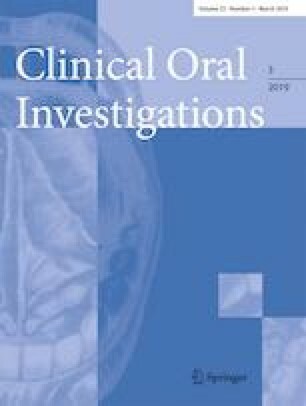 The objectives of this study were to assess orofacial profiles in 5- and 10-year-old children with cleft lip and/or palate (CL/P) compared to controls and to estimate a possible association between orofacial dysfunction and caries frequency. A total of 133 children with CL/P (77 5-year-olds and 56 10-year-olds) and 308 controls (142 5-year-olds and 166 10-year-olds) were included in the study. Orofacial function was evaluated with Nordic Orofacial Test-Screening (NOT-S), and caries were scored according to the International Caries Detection and Assessment System (ICDAS). The total NOT-S score was higher in children with CL/P compared to controls (mean 3.2 vs 0.9, p < 0.001). The domains frequently scored in CL/P children were speech (82%), face at rest (72%), and facial expression (58%). There was a significantly positive correlation between NOT-S scores and caries frequency. Children with CL/P have impaired orofacial function compared to controls. There seems to be a correlation between orofacial function and caries. Impaired orofacial function seen in children with CL/P can be one of many risk factors for caries development, and it is suggested to be a part of caries risk assessment. We are grateful to all children and parents participating in our research. Thanks to the cleft teams in Gothenburg and Linköping and all the public dental clinics involved. We will also thank Anna-Karin Nilsson for assisting with data collection. All authors were involved in writing and reviewing the manuscript. Anna Lena Sundell collected the data and wrote the first draft of the manuscript. This work was supported by Region Jönköping County, Medical Research Council of Southeast Sweden (FORSS) and Academy for Health and Care Region Jönköping County (Futurum). The authors, Anna Lena Sundell and Agneta Marcusson, report no conflicts of interest. The authors alone are responsible for the content and writing of the paper. All procedures performed in studies involving human participants were in accordance with ethical standards of the institutional and/or national research committee and with the 1964 declaration and its later amendments or comparable ethical standards. Informed consent was obtained from all caregivers to the children included in the study.